WaveLink has primary V&V responsibility for the conduct of system/software qualification test activities (i.e., lab testing) of ASE systems, including subsystem qualification (hardware and software), system integration & design verification, and aircraft interoperability. WaveLink supports the Ballistic Missile Defense System through modern Model-based Software Development of next generation Objective Simulation Frameworks (OSF). These frameworks are configurable to support all Stakeholder Applications such as Ground Test, Performance Assessment, Exercises, War Games, Training, Element Integration, and Concept Analysis. WaveLink also provides software sustainment support of the Single Simulation Framework (SSF). We apply CMMI-3 Configuration / Data Management processes and IBM Rational tools to maintain OSF/SSF baselines to fulfill customer deliverable requirements driven by the need to support multiple simultaneous test events. WaveLink conducts BMDS Functional Qualification Testing (FQT), patch testing, and regression testing. We develop automated test processes utilized in software integration testing. 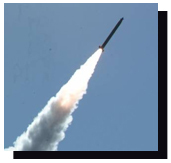 WaveLink also supports integration of Modeling & Simulation / Hardware-in-the-Loop into missile ground test events that provide critical results for interceptor algorithm refinement to support needs of the national missile defense system. Through post-test data truth analysis, defects in simulation software and data are quickly identified and addressed. WaveLink provides SSF/OSF software integration and testing at the MDA Advanced Research Center (ARC) in Huntsville, AL. We support HWIL integration through connectivity testing as part of stand-alone and distributed BMDS test events. WaveLink provides installation and test operations support to BMDS for CONUS and OCONUS operations in support of the warfighter and BMDS assets during ground and flight tests. WaveLink supplies M&S operators, connectivity, and data collection specialists in support of BMDS operational testing from Bench Mark 1 tests through Runs for Record.